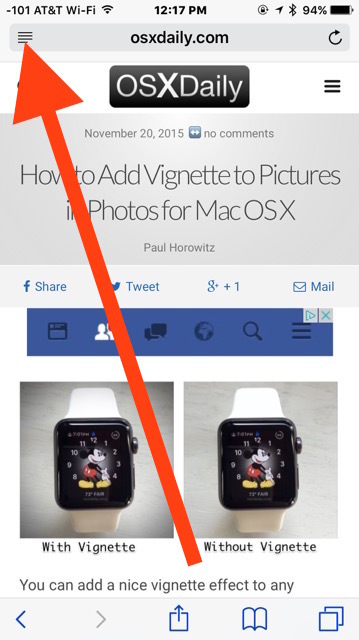 Have you ever wanted to make the text size on a webpage bigger when you’re reading a web site on an iPhone? Some web pages are easy to read on iPhone, and some are not. If you find font or text sizes in Safari to be maddeningly small for some web pages when you’re reading them on the iPhone, iPad, and iPod touch, you’ll likely appreciate this great tip which shows you how to increase the font size of webpages in Safari with Reader mode. 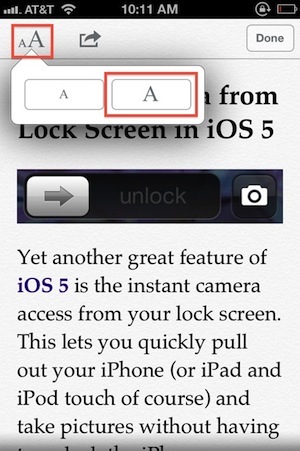 iOS Safari Reader Mode offers a simple way to increase the font size on just about any web site, web page, web article, or anything else you can see in Safari for iOS. 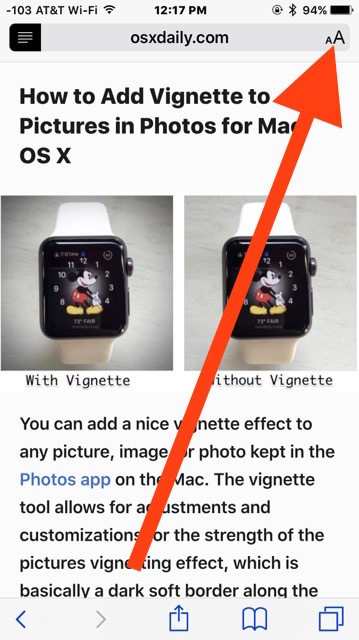 This is a great iPhone and iPad feature for boosting the text size on webpages and it works with most versions of iOS system software as long as they have the Reader function in Safari. The effect is immediately, and you can continue tapping the small A or Large A to adjust the font size up or down according to your preferences. Your eyes will immediately thank you, if the web page was too small to read now you should have larger font sizes. You can make a web page have quite large text this way, which is excellent for those who don’t like small fonts on screen. This works on just about any web site that has text articles (including ours), but many news sites and blogs will require that you clicked through an article link in order to load properly, or else only the top-most story will be rendered in Reader. 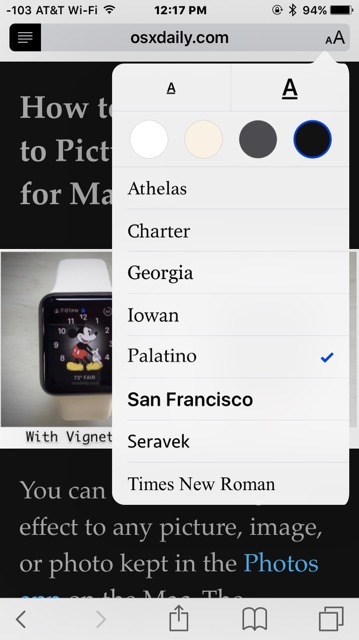 Going further than just adjusting font size, you can use iOS Safari Reader mode to change the appearance of articles, including font and font colors too. Reader has been around a long time, but if your device is running an ancient iOS build it won’t have capability because only available in iOS 5 and newer, you should upgrade if you haven’t yet. This feature remained in iOS 6, but then changed in iOS 7 so that you can no longer directly increase the font size through the Reader app – instead, those versions of iOS adjust the font size here and elsewhere through a general system setting. Meanwhile, the feature was again reintroduced to iOS 9, iOS 10, and iOS 11 onward with Safari, so it’s those in between versions that do not have the improved readability and font size adjustment features. Apple often adjusts how a feature works or looks, so just remember to increase the font size of a web page on the iPhone or iPad, enter into Reader mode, then increase the font size from there. It is supported in all vaguely modern version of iOS system software and the feature works great. Nonsense! A bigger screen doesn’t increase text size. To increase text size DPI has to be decreased. I don’t want a bigger screen nor a lower DPI. Just keep it like it is. iPhone has an optimal size screen. If you think it’s not enough and bigger screen would be better, try one of samsungs Frankenstein sized galaxy series for couple of days. Useless.